As many of you know by now (thanks to my improving social media game), I went to Atlanta last weekend to attend the first annual TCF Style Expo. I have so much I want to share about my experience that I fear it will border on over-sharing or word-vomit so I’ve opted for a list format for this blog. Maybe it will help reign me in. No, this is not me coming out of the closet. I love strong women because strong, confident women know how to make other women feel amazing. I can’t tell you how welcomed I felt and the number of compliments I received. 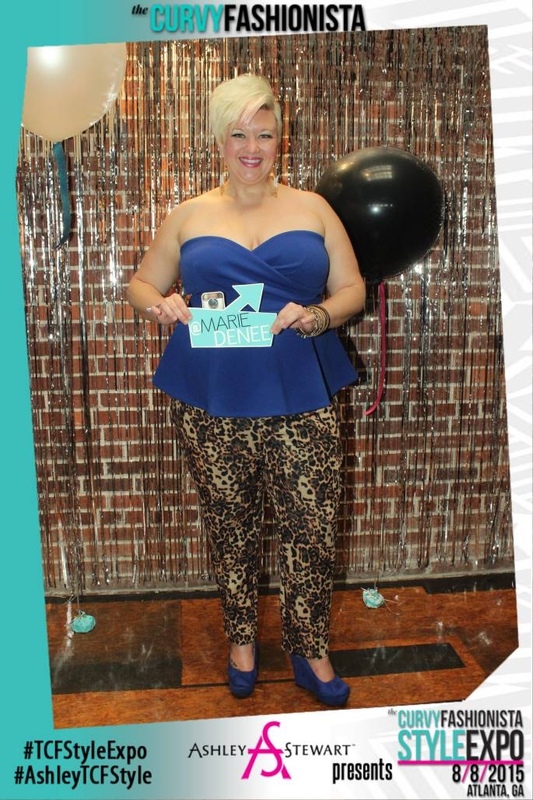 If the mission of these fashionistas, bloggers, vendors and even other attendees was to make me feel like a queen for a day…mission accomplished! 2. Everything should be covered in glitter. One of my first stops was at the Magnolia Makeup booth. Not only did the makeup catch my eye but there was GLITTER! 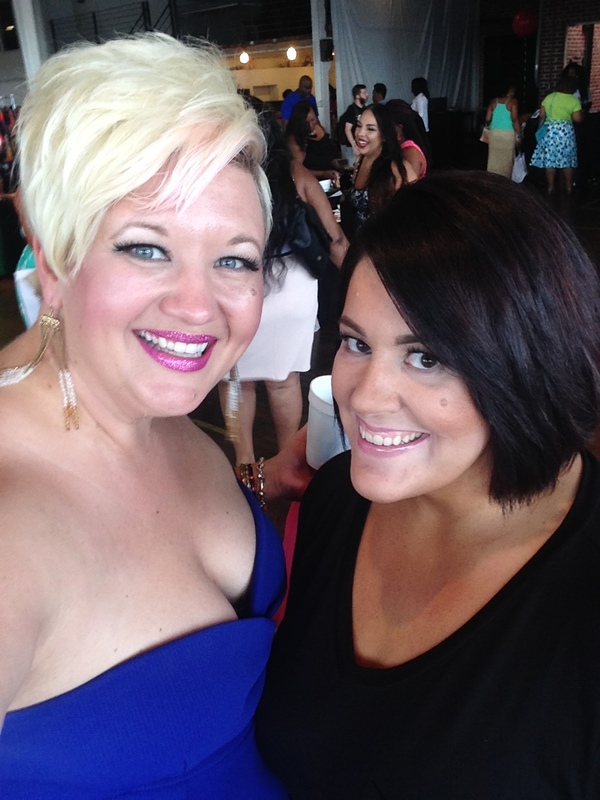 One of the ladies applied a generous amount of pink glitter to my already fuchsia lips and a rockstar was born. Seriously, I need more glitter in my life. 3. Goody bags are the best. One of the vendors was a company called Full Circle. It’s basically an online consignment shop for plus-sized clothing. HELLO! This is perfect. As I’ve pondered my blogging future, I’ve often wondered how I could continue adding to my already full closet without a)spilling out into the living room, kitchen and garage and b)breaking my already fragile budget. Thanks to Full Circle, I have my answer! 5. Walking the runway is fun. 6. There are more options than I realized. Thanks to some input from the panelists, I have a list of new stores and boutiques to try. Everything from where to find plus-sized formal wear to who carries wide-calf boots. Duo Boots, New Look, Simply Be, Ready to Stare and Sydney’s Closet to name a few. 7. Don’t complain about the problem, create a solution. I’ve heard this advice before but after stopping by the SMASH shoes table, I was able to see it in action. Word has it that the proprietor of SMASH started her company when she couldn’t find a decent selection of cute shoes for large feet. I’ve complained about that very thing for most of my life. Kudos to this woman for doing something about it. 8. Marie Denee has my complete admiration. 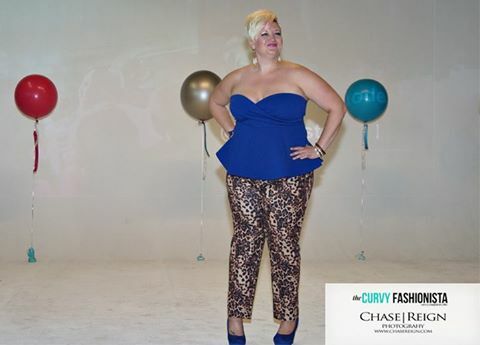 Marie Denee is The Curvy Fashionista (TCF) and the brainchild behind this event. According to Marie, this Style Expo was an idea she had a year or more ago. She has worked tirelessly to make her vision a reality. I admire her patience and persistence and I’m so happy that it paid off for her and the event was a success. I could definitely learn a thing or two from this go-getter! 9. My networking game needs help. Going into this event, I gave myself several pep-talks about using the opportunity to meet other bloggers and get my name out there. While I don’t think I was a total failure in this area, I know I could have done more. Here’s my problem. I’m ALL about being organic. No, not shopping at farmer’s markets and such but about letting situations, meetings, etc. happen naturally. I’ve never been good at forcing myself on people. If conversations start organically and the opportunity arises for me to share my passion with you, then great. If not, then I feel that I’m being fake, annoying, etc. if I try to orchestrate the opportunity myself. So yeah, like I said, my networking game needs help. 10. I don’t regret taking a leap. When I first heard about the style expo, I didn’t know much other than it sounded fun and I wanted to attend. So I took a leap and bought a ticket (followed by airfare to Atlanta). It certainly wasn’t the biggest risk I’ve ever taken but there were definitely times where I started to doubt my decision. I’m happy to say, now that all is said and done, I’m very happy with my choice and am even considering making this a yearly event. Who knows, maybe one day I’ll get to attend as a panelist or experienced blogger, rather than a wide-eyed novice. That looks like so much fun! I am definitely going to have to go next year. Wow…YOU GO GIRL! I’m so happy you fought against your initial reaction and walked the runway. This looks like a great event; I need to earmark may calendar for the next one. Thanks for sharing.